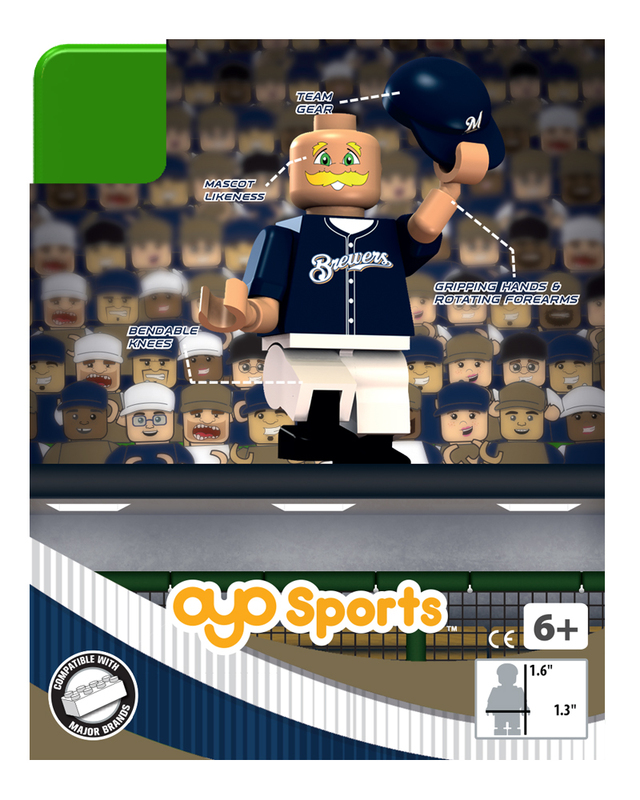 Your mascot will cheer your team to victory! 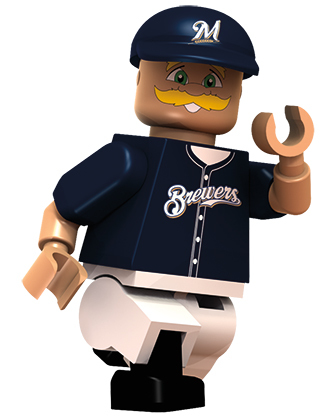 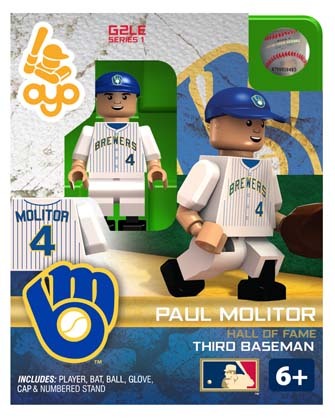 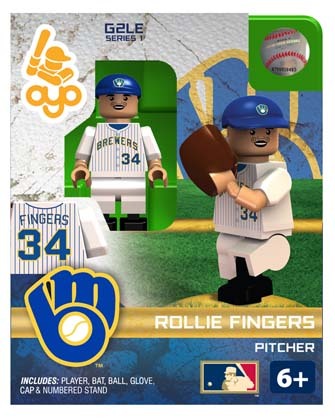 This minifigure of the Milwaukee Brewers mascot makes a great gift for any sports fan young and old! Your minifigure looks just like the real mascot. 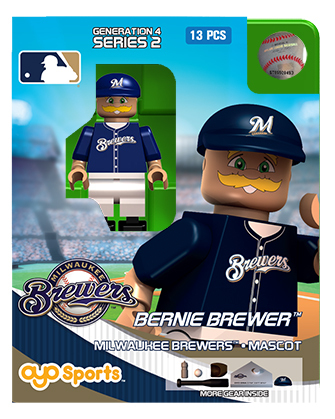 Accessories include a team hat, a glove, ball, bat, water bottle and uniquely numbered stand. OYO Sports minifigures feature proprietary bendable knees and poseable arms which allow them to catch, swing and throw.